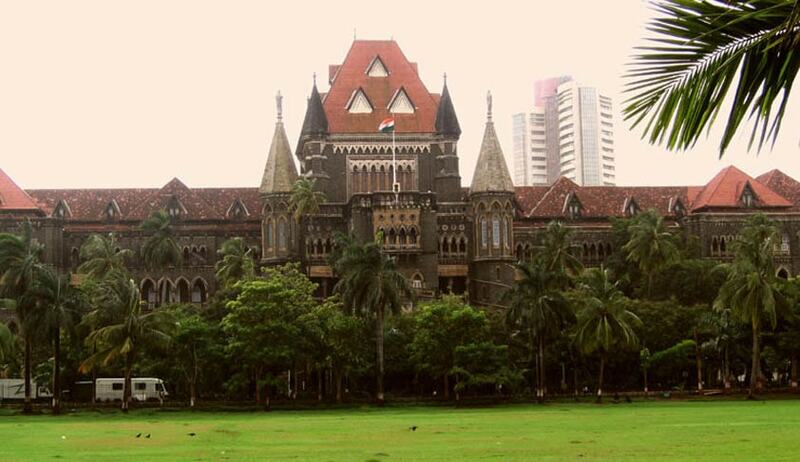 A Division Bench of Bombay High Court set aside the Death sentence of Mirza Himayat Baig, the lone convict in the Pune German Bakery Blast case. The Bench comprising of Justices N H Patil and S B Shukre acquitted Baig for all major offences under Indian Penal Code (including 302 and 120B) and Unlawful Activities (Prevention) Act. The Bench maintained the conviction under Section 474 IPC and Section 5(b) of the Explosive Substances Act and sentenced him to Imprisonment for Life. (I) Reference made by the Additional Sessions Judge, Pune, is rejected. (II) Criminal Appeal No. 755 of 2013 filed by appellant/accused – Mirza Himayat Baig @ Ahmed Baig Inayat Mirza @ Hasan is partly allowed. (a) The order of conviction and sentence awarded against the appellant/accused – Mirza Himayat Baig @ Ahmed Baig Inayat Mirza @ Hasan for offence punishable under Section 16(1)(a) of the Unlawful Activities (Prevention) Act, 1967 is quashed and set aside and accused is acquitted of the said offence. (b) The order of conviction and sentence awarded against the appellant/accused – Mirza Himayat Baig @ Ahmed Baig Inayat Mirza @ Hasan for offence punishable under Section 10(b) of the Unlawful Activities (Prevention) Act, 1967 is quashed and set aside and accused is acquitted of the said offence. (c) The order of conviction and sentence awarded against the appellant/accused – Mirza Himayat Baig @ Ahmed Baig Inayat Mirza @ Hasan for offence punishable under Section 10(a) of the Unlawful Activities (Prevention) Act, 1967 is quashed and set aside and accused is acquitted of the said offence. (d) The order of conviction and sentence awarded against the appellant/accused – Mirza Himayat Baig @ Ahmed Baig Inayat Mirza @ Hasan for offence punishable under Section 18 of the Unlawful Activities (Prevention) Act, 1967 is quashed and set aside and accused is acquitted of the said offence. (e) The order of conviction and sentence awarded against the appellant/accused – Mirza Himayat Baig @ Ahmed Baig Inayat Mirza @ Hasan for offence punishable under Section 20 of the Unlawful Activities (Prevention) Act, 1967 is quashed and set aside and accused is acquitted of the said offence. (f) The order of conviction and sentence awarded against the appellant/accused – Mirza Himayat Baig @ Ahmed Baig Inayat Mirza @ Hasan for offence punishable under Section 13(1)(b) of the Unlawful Activities (Prevention) Act, 1967 is quashed and set aside and accused is acquitted of the said offence. (g) The order of conviction and sentence awarded against the appellant/accused – Mirza Himayat Baig @ Ahmed Baig Inayat Mirza @ Hasan for offence punishable under Section 13(2) of the Unlawful Activities (Prevention) Act, 1967 is quashed and set aside and accused is acquitted of the said offence. (h) The order of conviction and sentence awarded against the appellant/accused – Mirza Himayat Baig @ Ahmed Baig Inayat Mirza @ Hasan for offence punishable under Section 120-B of the Indian Penal Code is quashed and set aside and accused is acquitted of the said offence. (i) The order of conviction and sentence awarded against the appellant/accused – Mirza Himayat Baig @ Ahmed Baig Inayat Mirza @ Hasan for offence punishable under Section 302 read with Section 120-B of the Indian Penal Code is quashed and set aside and accused is acquitted of the said offence. (j) The order of conviction and sentence awarded against the appellant/accused – Mirza Himayat Baig @ Ahmed Baig Inayat Mirza @ Hasan for offence punishable under Section 307 read with Section 120-B of the Indian Penal Code is quashed and set aside and accused is acquitted of the said offence. (k) The order of conviction and sentence awarded against the appellant/accused – Mirza Himayat Baig @ Ahmed Baig Inayat Mirza @ Hasan for offence punishable under Section 435 read with Section 120-B of the Indian Penal Code is quashed and set aside and accused is acquitted of the said offence. (l) The order of conviction and sentence awarded against the appellant/accused – Mirza Himayat Baig @ Ahmed Baig Inayat Mirza @ Hasan for offence punishable under Section 153A of the Indian Penal Code is quashed and set aside and accused is acquitted of the said offence. (m) The order of conviction and sentence awarded against the appellant/accused – Mirza Himayat Baig @ Ahmed Baig Inayat Mirza @ Hasan for offence punishable under Section 3(b) of the Explosive Substances Act, 1908 read with Section 120-B of the Indian Penal Code is quashed and set aside and accused is acquitted of the said offence. (n) The order of conviction and sentence awarded against the appellant/accused – Mirza Himayat Baig @ Ahmed Baig Inayat Mirza @ Hasan for offence punishable under Section 4(a) and (b) of the Explosive Substances Act, 1908 is quashed and set aside and accused is acquitted of the said offence. (o) The fine amount, if deposited, in the above stated offences, shall be refunded to the accused. (p) The acquittal of appellant/accused - Mirza Himayat Baig @ Ahmed Baig Inayat Mirza @ Hasan for offence punishable under Sections 465, 467 and 468 of the Indian Penal Code is confirmed. (q) The conviction and sentence of the appellant/accused - Mirza Himayat Baig @ Ahmed Baig Inayat Mirza @ Hasan awarded for offence punishable under Section 474 of the Indian Penal Code is confirmed. (r) The conviction and sentence of the appellant/accused - Mirza Himayat Baig @ Ahmed Baig Inayat Mirza @ Hasan of life imprisonment for an offence punishable under Section 5 (b) of the Explosive Substances Act, 1908 is confirmed. The sentences awarded as above against the accused shall run concurrently.